We are less than two months away from election day now and the race for Howard County Executive is far from over. 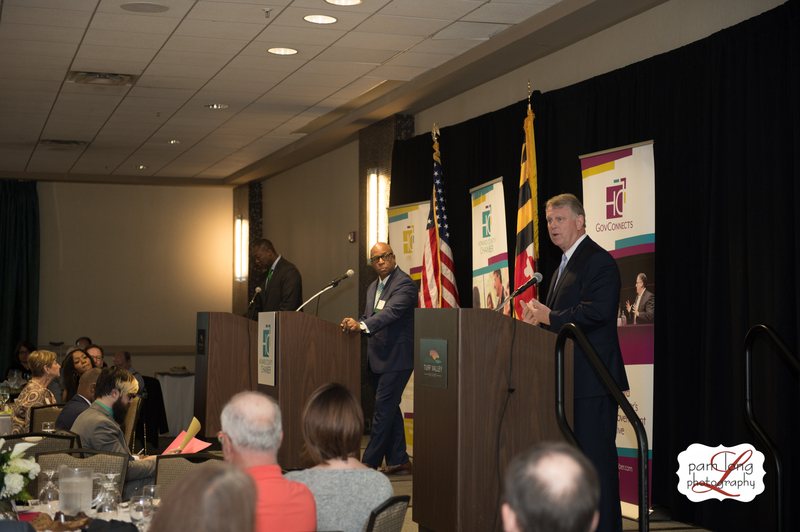 Howard County Executive Allan Kittleman and Howard County Councilmember Calvin Ball took to the stage at Turf Valley Resort yesterday for a substantive and spirited discussion of their visions for our county. Click here for Baltimore Sun’s coverage. Click here for Baltimore Sun’s video of the forum. The forum, moderated by WJZ-TV Anchor Vic Carter, a Howard County resident himself, covered everything from the budget, to school overcrowding, to flood mitigation and public safety in front of a packed room of the county’s business leaders. The candidates each gave an opening statement, laying out their cases for why they should be elected the next Howard County Executive. Ball criticized the current state of public transportation in the county, saying not enough has been done. Kittleman went on to describe the progress that has taken place during his term in office including several brand new buses and a push by the county to use electric buses as well. Click here for Maryland Reporter’s coverage. The discussion was contentious at times, but one thing both candidates could agree on was their mutual respect for the school system’s current Superintendent, Dr. Michael Martirano, who was also in attendance, and the importance of the school system to our county. For more information on both candidates, you can visit howardchamber.com where we have links to questionnaires filled out by both candidates ahead of the forum. There are also responses from candidates for County Council, the General Assembly and the Board of Education. And don’t forget to join us for our 2019 Legislative Preview Breakfast on October 25th to find out which issues the Chamber will focus our advocacy efforts on in the coming legislative session.